Now that winter has finally arrived once again, millions of people across the country and around the globe will be pulling their parkas, skis, snowboards, and other winter gear out of storage. And, of course, many of them will be heading to a ski resort with family and friends to enjoy the winter wonderland that many places become this time of year. While it is true that ski resorts often come with their own unique set of obstacles and opportunities, one thing that they have in common with every other hospitality location is the need for effective communications. If your guests or employees are unable to communicate effectively and efficiently, then you are likely to experience problems. To ensure that this doesn't happen, we've put together some quick tips for making sure that the phone system at your ski resort are top-notch. Phone systems have changed considerably over the years, yet many owners and managers are perfectly okay with the use of outdated technology. From the system itself to the phones used in rooms and even in the lobby, many hotels are still doing business as usual as it existed two or three decades ago. While this may be functional to a certain degree, your ski resort isn’t going to win over any guests by continuing to live in the past. If you’re looking for the best hotel phone system around, you simply can’t overlook Voice over Internet Protocol. While the technology behind VoIP took years to develop and improve, the current design and implementation gives you the best bang for your buck. 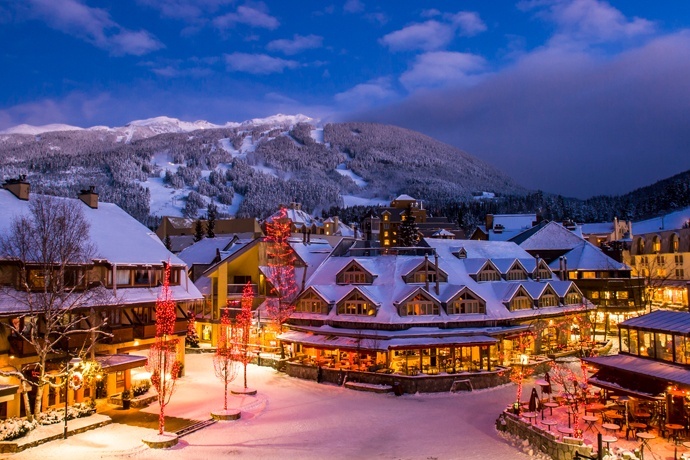 This is especially important for ski resorts and hotels that function as ski resorts during the winter season because such guests are typically very astute when it comes to technology and what they expect during their stay. Ski resorts are often seen as a kind of specialized expertise in the industry, so it’s always a good idea to keep your employees trained on every aspect of your hotel. Your guests are likely to expect more from you, and if you don’t deliver the goods, you won’t be seeing them again. Employees who are well-trained on the functionalities of your hotel’s phone system can assist guests more efficiently while providing them with the tools and assistance necessary to get the most out of their stay. As a ski resort owner or manager, you already have a ton of responsibilities to deal with, some of which are unique to guests who are staying at your location with the goal of getting the most out of their snow-filled activities. Electing to utilize a managed phone system will take a huge weight off your shoulders. Rather than deal with improved call quality, phone system upgrades, and other functionalities yourself, an off-site management team will handle everything for you. If you decide to run the VoIP phone system yourself, it’s always a good idea to test the system periodically to make sure everything is running smoothly. You want to check the quality of calls coming through and going out, the functionality of each piece of hardware, and the proper operation of software to ensure the best experience possible. You’ll also want to tackle any guest complaints or issues that crop up right away. Whether you are the owner or manager of a ski resort or other type of hotel, communication should always be a top priority. If you'd like to learn more, reach out to the experts at Phonesuite and we'll help you bring VoIP to your guests and employees.